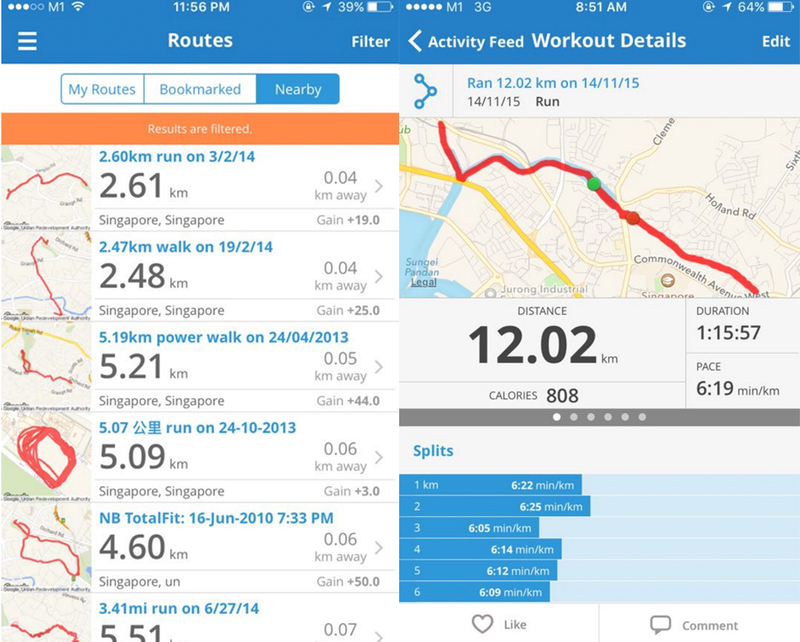 3 Apps all Singapore Runners must have | JustRunLah! 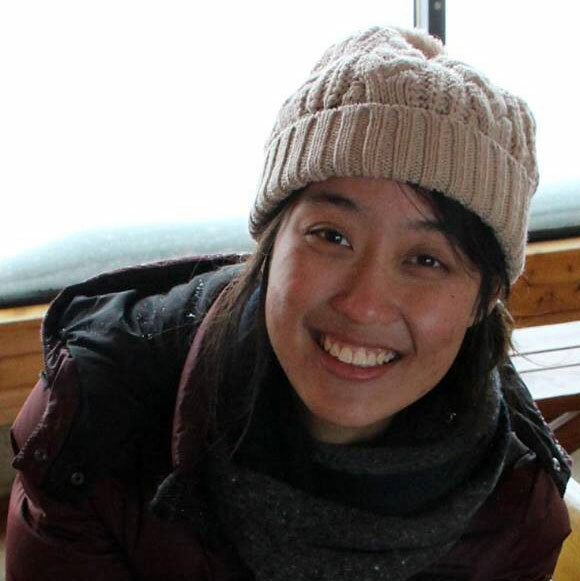 Runners are as diverse as their goals. You might be running to get stronger, challenge yourself or lose weight. You might be just beginning a 5km fun run with the community centre or racing to enter the Boston Marathon. To take these inconveniences off the plates of our fellow Singaporean runners, let us tell you the 3 must have apps for us runners in Singapore. First and foremost, it tells you the basics of your run such as distance, time and pace. Then, it goes further to break down these data to include your split pace and uses the GPS to map out your route. This is especially so for endurance runners, you don’t want to be expending explosive power on the first half of your race and crashing into a wall of fatigue before you even near the finishing line. Knowing how to pace yourself well is an important skill. This App helps you reflect better on your workouts. Taking the social aspect slightly ahead, this App allows you to source for nearby routes that have been tried-and-tested by fellow runners. They tell you the estimated distance of that route and how far it might be from your current location.I’ve done Sungei Pandan, Ghim Moh Park Connector A and B. Paying for a race means you get a guaranteed, undisturbed route; that’s not the case when you’re running on your own. When you’re training for a distance race, having a selection of another run route would make your training runs a lot more exciting. From the time you invest in your first pair of $150 shoes to the time you step onto the starting line, you’re going to be riddled with doubt. Running is as much a mental as it is a physical challenge. So what you need is to tell yourself “don’t be scared, just run.” JustRaceLah! has a database of over 600 races in Singapore and Malaysia. 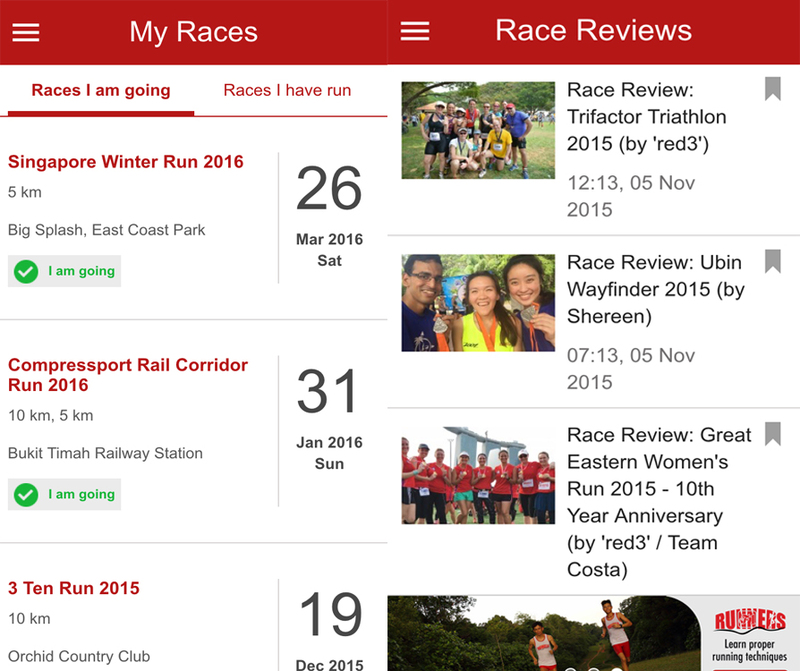 You can read reviews of past races and select upcoming ones that are all listed by dates. The coolest part: After every race, you can log your finishing time, record personal notes as well as upload photos, allowing you to track and monitor your progress race by race. Plus, it’s 100% free and you can even look for race discounts. They are surprisingly localised with their database. 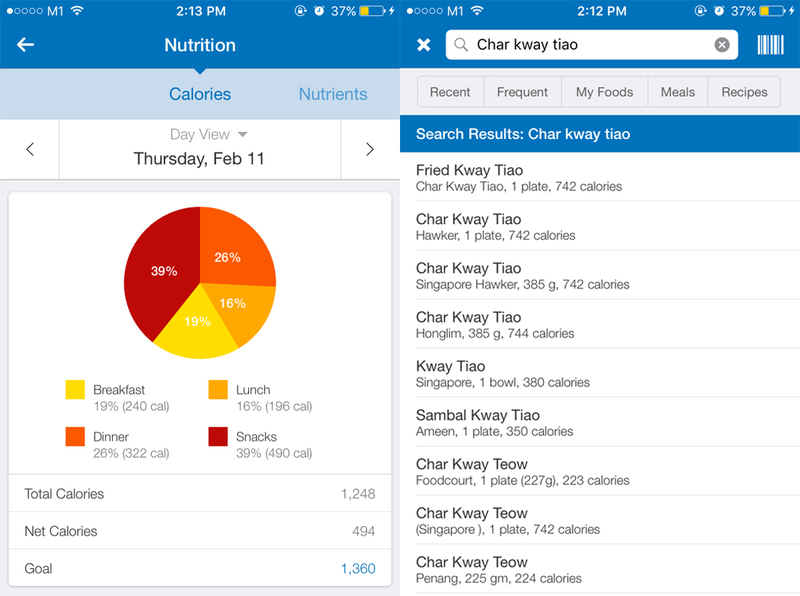 Look at the impressive list of results for “Char Kway Tiao.” That’s the best thing about this App. You don’t need to select a kind-of similar meal or end up estimating the amount of macronutrients you’re actually intaking. Apart from this, this App gives you a very good visual overview of your macronutrient distribution. If you look at our tips on “Know Your Nutrition: How To Keep A Proper Food Log,” you’d know how helpful this would be. There are honestly a ton of Apps out there that do that job but seriously not many are FOR SINGAPOREANS. If you know of any that we’ve missed, let us know in the comments!